A catalyst for the local arts community and the Riverfront district, this multivenue 125,000 square foot facility for the visual and performing arts serves as a new cultural heart for downtown Baton Rouge nestled along the Mississippi. 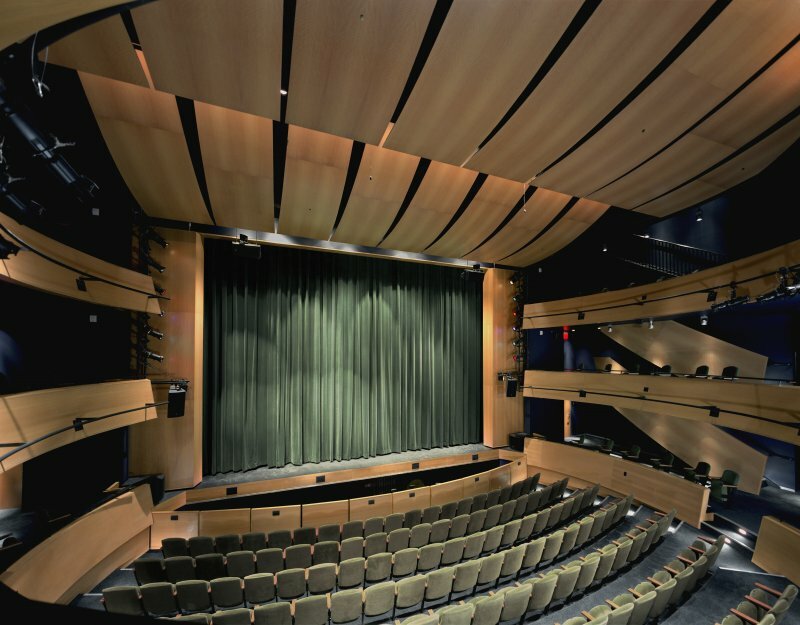 The outcome of a historic collaboration between Louisiana State University, city and state governments, and regional arts organizations, the project includes six stories of gallery, classroom and administrative space, three restaurants, and a 300-seat performing arts theater. 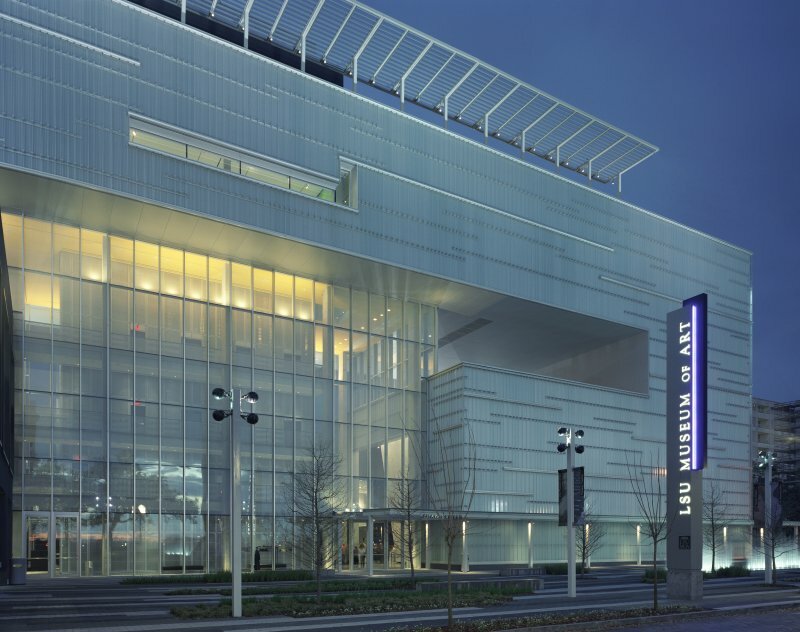 Occupying one and a half city blocks, the project incorporates the historic Auto Hotel, with the two primary public venues, the LSU Museum of Art and the Manship Theatre, combined to form a unified structure that cantilevers over the Auto Hotel. 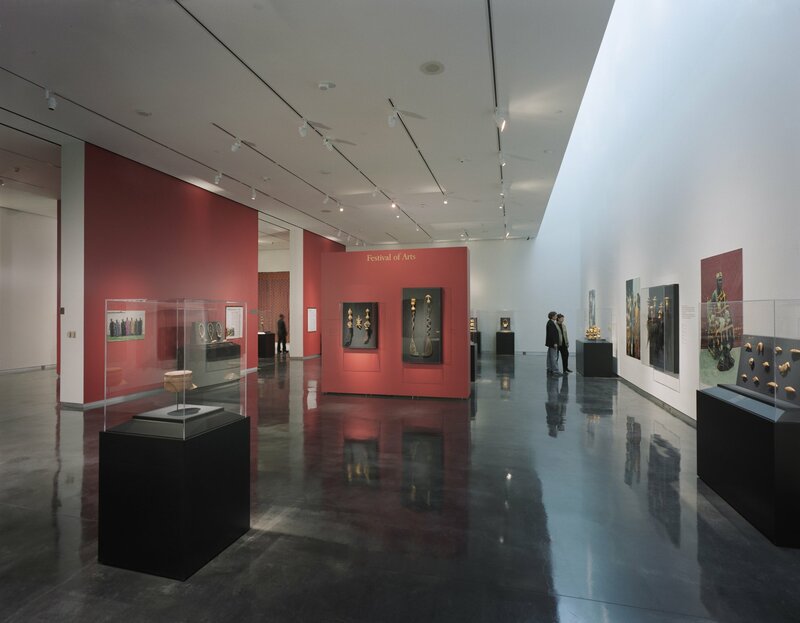 The lobby, a 65 foot high space enclosed by glass curtainwalls, connects the three main elements of the project: the museum, the theater complex, and the studio and classroom spaces within the Auto Hotel. 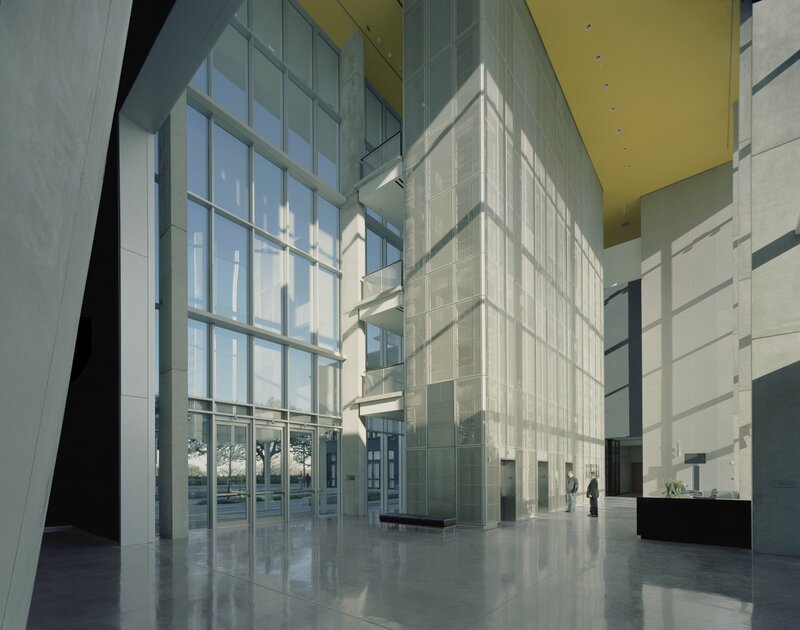 Clad in channel glass and aluminum, the building was designed to withstand hurricane force wind loads and demonstrated its capacity by withstanding hurricanes Katrina and Rita without damage shortly after opening in February 2005. 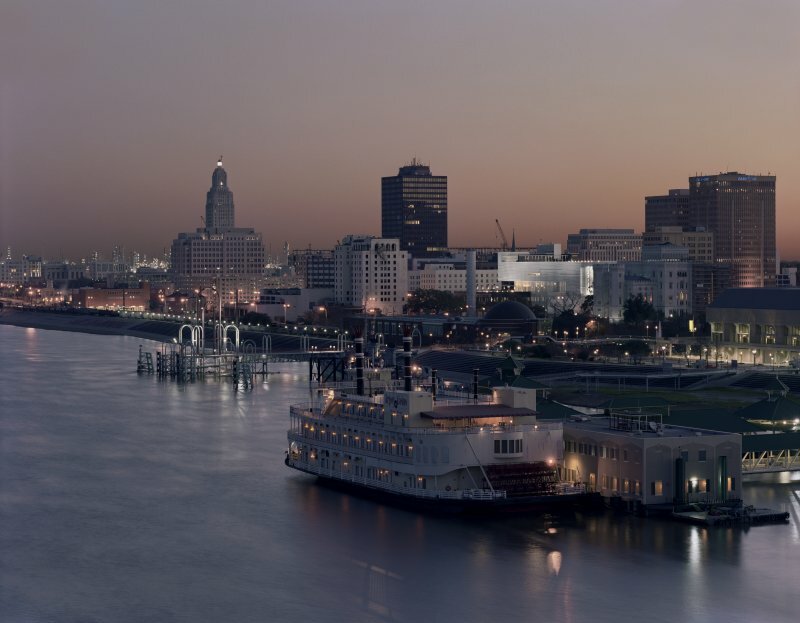 The building seems to glow at night, serving both as a metaphor for a revitalized urban district and a ”lantern on the levee,” a symbol of the illuminating power of the arts. 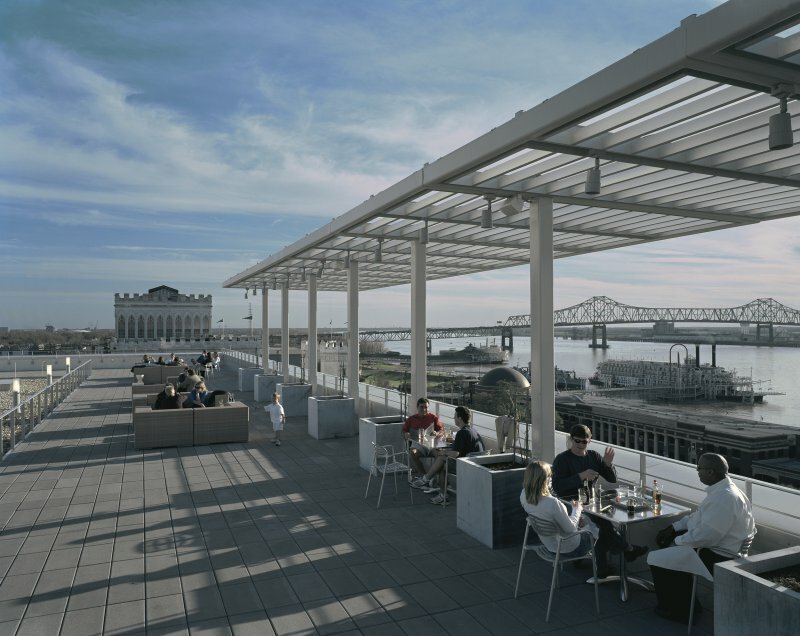 The complex has already begun to spur the redevelopment of downtown Baton Rouge by creating a destination, reenergizing the surrounding blocks with new buildings and uses, and bringing a sense of renewed excitement to the city.